Determine what speed your machine runs the best at. The slower mine goes, the less straight my seams are; the faster it goes, the easier it is to make big mistakes and stray from where I should be sewing. For me, it’s best if I sew with the machine on the highest setting but not at it’s fastest speed. It’s about half way between the medium and fast setting. Play around until you figure out what stitch length works the best for your specific needs. When I’m sewing cotton fabrics together I use a slightly shorter stitch length — it’s actually the recommended stitch length for a straight stitch on my machine; but when I’m top-stitching I lengthen the stitch length 1-2 settings so it looks prettier and more professional. Figure out the best seam allowance (the distance a seam lies from the edge of the fabric) to keep it from being pulled down into the needle hole on the needle plate. This is especially important when turning corners without much fabric between the feed dog and presser foot. On my machine a 1/4″ seam allowance is the minimum I can use. Learn how the tension works, and how to adjust it, on your machine. At first it can seem quite intimidating but after some practice you’ll be able to quickly spot thread tension issues and fix them immediately. No more wonky stitches! Change the pressure on the presser foot. Learn what settings work best for different fabrics, different thickness and even the different number of fabric layers. You’ll need to increase the pressure when sewing through heavier fabrics such as corduroy, denim, leather and decrease it when sewing through lighter fabrics such as chiffon and tulle. I’ve found that when I’m top-stitching over a thick side seam, it helps keep my stitch lengths consistent if I crank up the pressure just to get past the seam. Every time you sit down to sew and change anything — fabric, thread, stitch length, type of stitch, etc. — sew some test stitches on a scrap piece of the fabric(s) you’re using. This will allow you to get your tension, stitch length and pressure right before you start on your actual piece. When sewing corners, doing appliques or any other project where you’ll be moving the fabric in anything but a straight line, keep your needle in the down position — meaning that when you stop sewing the needle is down in the fabric and not up at it’s highest point. This will keep your stitches in line when you move the fabric. Change your needle often! Yes, it’s another (minor) cost but it’s well worth the money. I change my needle after 6-8 hours of sewing or sooner if I’m having trouble with skipped stitches. Keep your sewing machine clean. Lint buildup can affect your feed dogs and cause extra wear and tear on your machine. A can of compressed air helps to blow gunk out of places you can’t reach; the small screw driver that came with your machine will help you pull the needle plate off so you can clean around the feed dogs. PRACTICE, PRACTICE, PRACTICE! Sewing is just like any other skill — the more you do it, the better you’ll get and the more comfortable you’ll get with your sewing machine. I’ve been sewing almost daily for just shy of two years and I still see improvements in the items I make. 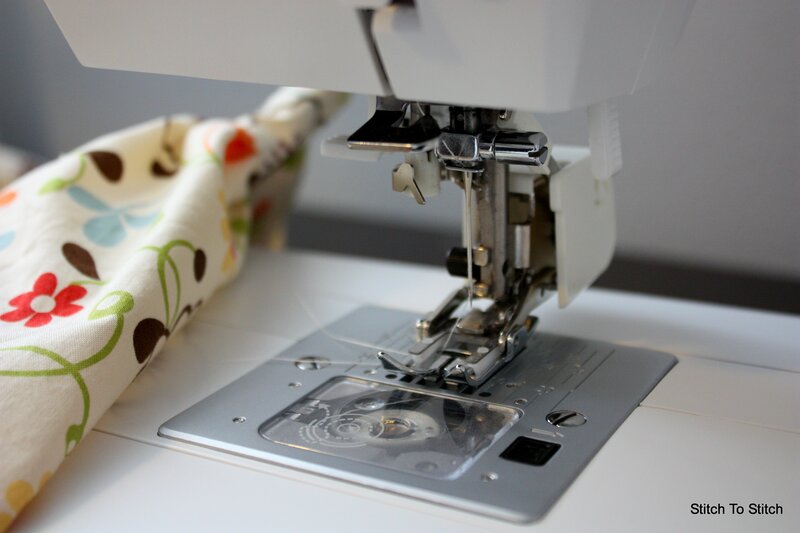 Did you get a sewing machine for Christmas and are overwhelmed at the thought of getting started? Given one as a hand-me-down from a loved one when they upgraded to something newer and nicer? Or have you had one sitting in the closet for years, collecting dust and fleeting thoughts about pulling it out of the box and turning it on? Truthfully, my first machine sat largely untouched for the first couple of years I had it. My dear husband bought one for me as a surprise gift just after we were married; he’d heard me mention about wanting to learn how to sew and thought it would be a great gesture. It was a kind and thoughtful gesture but at such an early stage in our marriage (and when our budget was so incredibly tight) I didn’t take the gift to heart the way I should have. After we moved West did I finally find myself wanting to pull it out and really spend time sewing. One of the toughest aspects of starting a new hobby or craft is amassing all the items you need to be comfortable starting. It can be expensive too! And unfortunately, sewing isn’t really any different. Here you’ve spent a fair chunk of money on a machine and now you need to buy a bunch of other “stuff” to go along with it. Where do you even start? Anyone who has glanced down the aisles at your local sewing store will tell you the choices, when looking for sewing gadgets, are numerous. So to help make it a little easier to get started, I’ve put together a top-10 list of the most essential sewing notions for a beginner (besides fabric, thread and needles — I assume you’ve already figured out those 3 items). Pins. To start off with, basic dressmaker pins are fine. They’ll go through most fabrics without bending and are cost effective. A box of 350 pins will cost about $4. Down the road you can up grade and buy ones with glass heads, or a smaller diameter to fit your sewing needs. Seam Ripper. The teeny tiny one that comes with your machine will continuously get lost under stuff on your desk/table. Buy one that’s a little larger and easier to spot. A simple one will cost about $3. My biggest tip — don’t buy one that has a round handle. They roll off flat surfaces. Bobbin Storage. I like the “bobbin saver” — it keeps bobbins from rolling around and unwinding all of their thread. The threads don’t get all tangled up with each other and the base is non-skid so it won’t slide around your sewing table. One of these costs about $7. Sewing gauge. An invaluable tool to have in your sewing kit! It will help to measure buttonholes, mark hems and space pleats. Usually costs about $2. Marking pencil. Use one to transfer markings directly onto your fabric. The brush on the end will help to remove the marking after sewing. They typically come in pink, blue and white and cost less than $2. I recommend a white one for dark fabrics and then a brighter one for lighter fabrics. Finger presser. 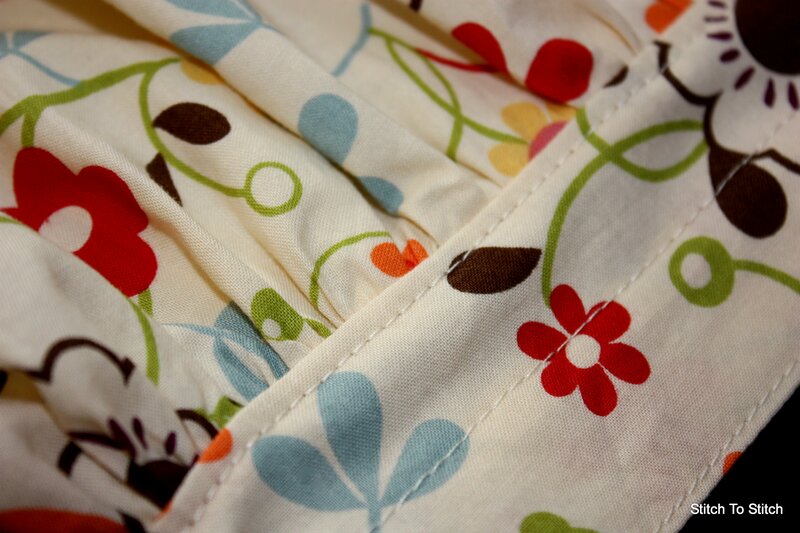 After sewing seams, you’ll want to press them open, or to one side, before sewing over them. Having one of these will save you from using your iron every single time. The plastic ones cost about $6. Mine finally bit the dust after 10 years — I knocked it off the table and the end busted off. I upgraded to a wood one and love it. Small scissors. Perfect for notching pattern pieces and ideal for cutting thread. I like the 5″ size and highly recommend spending the money on a middle of the road pair. The 5″ Fiskars craft scissors cost about $14. These next three items are going to be the most expensive to buy, and by some, would be considered optional. In my opinion though they make cutting fabric so much easier and more precise. I rarely use scissors to cut fabric unless I need to cut intricate curves. Rotary Cutter. 45mm is the standard size. There is a learning curve with using one but after you get the hang of it, you’ll wonder why you ever tried cutting fabric with scissors. The 45mm rotary cutter by Fiskars costs about $15. Replacement blades will need to be purchased as they dull. Self-Healing Cutting Mat. This goes under your fabric when cutting with a rotary cutter. It will take the wear and tear of a rotary cutter but will not get cuts, nicks or grooves on its surface. A 18×24″ mat costs about $25; a 24×36″ costs about $50. It’s a solid investment — when properly cared for, i.e. not allowed to warp, they will last indefinitely — I’m only on my 2nd one in 10+ years. My first one was ruined by a professional moving company, not me. Ruler. You need a straight edge to cut with a rotary cutter. A clear, sturdy plastic ruler works best. I like one that is 4-6″ wide and has markings every 1/8″. A decent one costs about $10. Remember too, that places such as Joann’s often run great sales on their sewing items so watch their online ads or sign up on their mailing lists to get their local ads. It’s not uncommon for sewing notions to be reduced 50%, especially the cutting tools. You can also search online for coupons to use if items are not on sale. One of the most used, and most beloved, gadgets in my studio is my Side Winder. This nifty little machine fills bobbins with the push of a button, allowing you to leave your machine undisturbed if you need more bobbin thread in the middle of a project. Because I’ll admit that I always underestimate the amount of full bobbins I need so more often than not I need a new one when I’m sewing. I’ve gotten so I never wind bobbin thread on my machine now that I have the Side Winder. With all the elastic thread I’ve been using lately — which everyone recommends winding onto your bobbin by hand — I decided to see if the Side Winder could fill bobbins for me. So I gave it a whirl and threw the machine-wound bobbin in to sew with. Voila! It looks like it doesn’t wind it so tight that it causes problems. Which is AWESOME to know since each romper I make uses at least 3-4 bobbins of elastic thread. The post that holds the spool of thread is way too short for the elastic thread. When I try to wind the bobbin, the elastic thread wobbles all over and 9 times out of 10 comes off of the post. I ended up having to hold the top of the thread spool to keep it from coming off, or I stuck a pencil down inside the tube to keep it steady. But last night, the answer came to me. I guess it’s a good thing I have a drawer full of fast food straws, napkins and utensil sets (all clean and unused, I promise). Perfect fit! And a perfect solution. Over the last few months, I’ve seen numerous mentions about this nifty little sewing/crafting notion called WashAway Wonder Tape. Fellow sewists raved about how great it is to work with and how much simpler it makes projects. Especially when adding trim or ribbons to a garment. I just filed the stuff away under “items you might want to try out at a future date” in that tiny little space at the back of my brain. When browsing (aka “killing time while husband is at home with both kids and I’m allowed to go to the fabric store by myself”) one of my favorite locally-owned small crafting/fabric stores two weekends ago I saw it on the shelf. $5.99 for 10 yards??!! Wow! It seemed a little steep in price for me. But I grabbed a package and threw it in my basket to try it out. It’s just money, right? Boy was I surprised when I got it home. Holy, moly! This stuff rocks! Enough that I caught myself dancing around the sewing room and calling my husband downstairs to show him this nifty stuff (he doesn’t sew, but is an engineer so he appreciates handy gadgets). It’s double-sided, not overly sticky, tape that washes away! You use it to adhere items together — fabric to fabric, zippers to fabric, trim to fabric — it’s perfect for projects that are difficult to pin (or in my case when I hate to pin in general). I used it when putting ribbon on some padded camera straps last Saturday. It is super easy to apply, holds the ribbon in place perfectly and doesn’t gum up your sewing needles. I might have to buy stock in this stuff I like it so much! It’s definitely going to be an item that is always stocked in my sewing supplies from now on. Well worth the price in my opinion. You need to try it out yourself! Tricia Waddell, Editor in Chief of Stitch Magazine talks about organizing your sewing space in today’s Sew Daily email. She highlights her favorite tips from the article, 12 Ways to Destash Your Studio, from the upcoming issues of Studios magazine. – Admit you have a problem. The first step in parting with your stuff is admitting that you have more than you could ever use. Once you acknowledge you will never use it all, you can start to mentally separate from it. – Start small. Don’t try to do it all at once. Pick a category, such as patterns, kits, or one particular fiber form (yarn, fabric) and tackle that from start to finish. – Sort. Get three bins or bags and label one “give,” one “toss,” and one “keep.” Things that are broken, ripped, or outdated in a way that makes them unusable go in “toss.” Recycle what you can. – Create in the now. As you sort, if you hesitate over an item, ask yourself if it complements the kind of work you are doing right now—not the kind you used to do or might possibly do in the future. – Swap. Maybe you don’t have too much stuff. Maybe you just have the wrong stuff. Invite your artsy friends to bring some of their surplus stash and trade. – Don’t bring it home. Next time you see a bag of Depression-era fabric scraps at the flea market or your neighbor offers you a plastic bin full of crochet supplies, ask yourself: do I really need it? Do I have room for it? Does it help me create now? If the answers are no, smile, and walk away, happy in the knowledge that you still have room in your studio to create. Learn How to Sew With Your FREE Sewing Basics eBook from Sew News Magazine! Whether you’re learning how to sew and just want a few sewing tips or are a seasoned pro, it’s always helpful to have an overview of sewing basics. With this free eBook from Sew News, you’ll get the refresher course you’ve always wanted. From learning to fix sewing accidents to sewing gorgeous pleats, these four sewing guides are sure to come in handy for creating beautiful sewing projects. All of my items are topstitched for durability and to make them look professional. Sometimes this means sewing through layers and layers and layers of fabric. Also sewing over some very thick seams where the fabric comes together at the sides. Even though my machine is fantastic it often struggles to feed all of that material evenly when I’m sewing.﻿ This can sometimes lead to uneven stitches and a loss of that professional look I’m trying to achieve. Two weeks ago when working on some flowergirl dresses I had a total “ah-ha!” moment. After a year of making these dresses regularly I’d never thought of a simple solution to sewing that many layers of fabric. Out of nowhere it hit me like a ton of bricks. 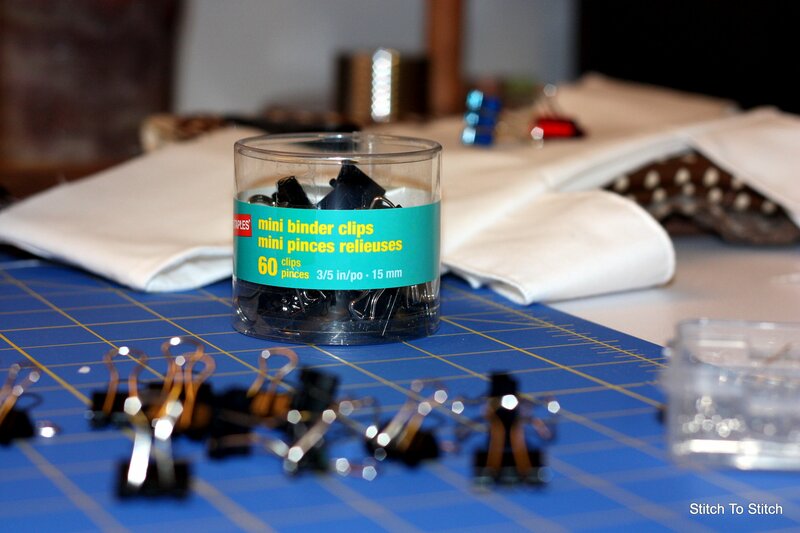 Those same dresses were used to show you how you can use binder clips instead of pins to hold your fabrics together. I’m going to cheat and use that same picture to partly illustrate today’s tip as well. In the photo you can see the amount of fabric I’m sewing through — in this case a double layer bodice, the main skirt layer and the underskirt. Four layers of fabric with two of them being heavily gathered which adds to the bulk considerably. I sew these together with my serger and then flip the seam up towards the bodice and topstitch. Flipping the seam upwards like that means adding another 2 layers of fabric to sew through. Voila! I realizes the perfect solution is to swap out my regular sewing foot for my quilting/walking foot. It takes less than a minute and look at the beautiful, even stitches it creates! The topstitching through numerous layers is the row on the very left. Now I’m kicking myself for not thinking of this solution earlier. Happy stitching! They hold the layers of fabric together really nicely. 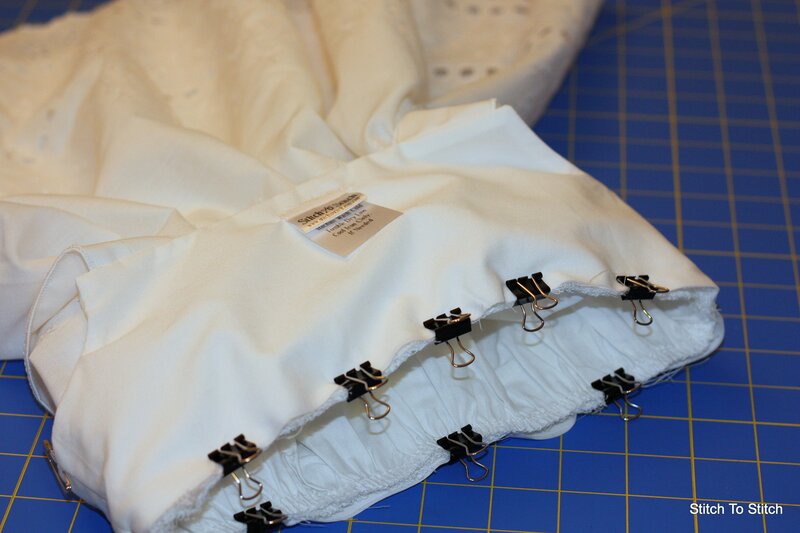 They work on multiple layers of fabric (and gathers) where pins struggle to slide through. They don’t leave holes in delicate fabric. AND they don’t hurt nearly as much — although they still do a little — when you step on a stray that makes its way off the table. Keep your machine set up somewhere at all times. This tip is applicable to any crafting hobby that requires a lot of supplies. I rarely feel like lugging my heavy machine out of my closet, setting it up, and then actually sewing something, all the while knowing I’ll just have to put it all away at the end of the night. If you don’t have a designated craft room, try setting up a card table somewhere in your house (even the basement will do!) and all you’ll have to do is plug it in when you’re ready to sew. Plan ahead. If you have something specific in mind that you want to sew, make sure you have the pattern purchased (or printed), all of the fabric, thread, and other notions are present, and you have read the instructions so you have an idea of which steps to do in which order. Don’t try to do too much at once. It’s unrealistic to think you’re going to make an entire project from start to finish in one night, unless it’s a quick and easy project. Maybe designate one night to cut out your pattern and fabric, another night to make all of the big seams, and a third night to hem raw edges and add trim, buttons, and other finishing touches. If you set out to do everything in one night, you’ll just get discouraged when you don’t finish, and you’ll be less likely to pick it back up again. Schedule time for sewing. You make sure to brush your teeth every day (right?!) and you sleep every day and probably check your email, possibly work out, and do a bunch of other daily activities. And I’m guessing no one has to tell you to make time for Desperate Housewives every Sunday (I sure don’t have to be told twice). Consider sewing something that gets done between 7 and 8 every night, or perhaps you spend every Sunday getting some stitching done while you listen to the radio. 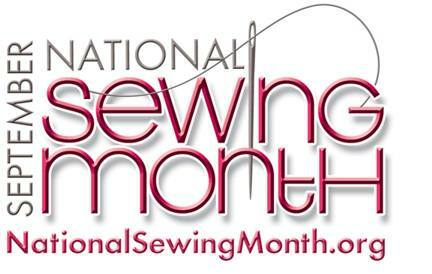 If you have a daily, weekly, or even monthly schedule for sewing, you’ll be more likely to stick to it. Finish one project before you start another. Even if you’re sewing every day, you won’t feel productive if you never finish a single project! I guarantee that the feeling of accomplishment that comes from completing a sewing project will be enough to propel you forward in your sewing ambitions. Perhaps I need to print this off and put it somewhere highly visible as a gentle reminder. So what have *you* been sewing this month?